Falling Spread Helps Apartment Loan Rate Weather Rise in 10yr Treasuries. The 10yr apartment loan rate we track rose 12 basis points (bp) to 4.60% from 4.48%, where is was on our report last month. During the same period the 10yr Treasury (T10) rose from 2.21% last month to a high of 2.39% last week before backing off 2bp as of yesterday. What saved the apartment rate from rising 50% further alongside the T10 was that the spread was reduced from a high of 2.9% to 2.22%. The ULI <60LTV loan we track did not Continue reading Falling Spread Helps Apartment Loan Rate Weather Rise in 10yr Treasuries. 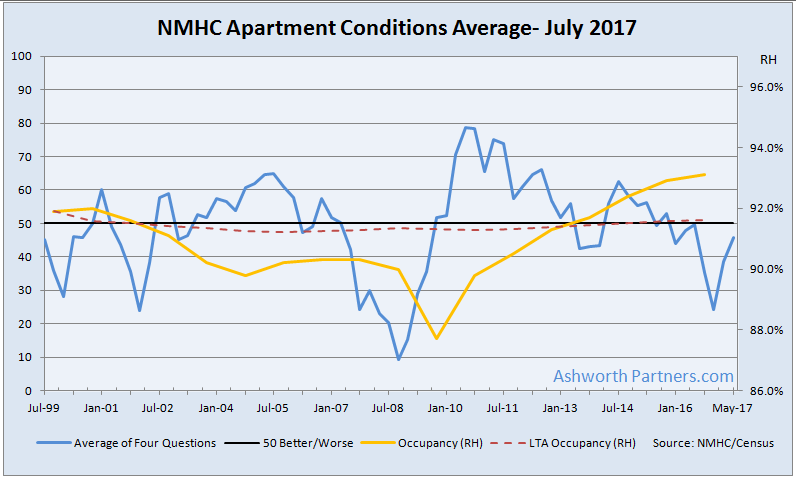 Posted on July 12, 2017 August 10, 2017 Categories Multifamily InvestmentsLeave a comment on Falling Spread Helps Apartment Loan Rate Weather Rise in 10yr Treasuries. 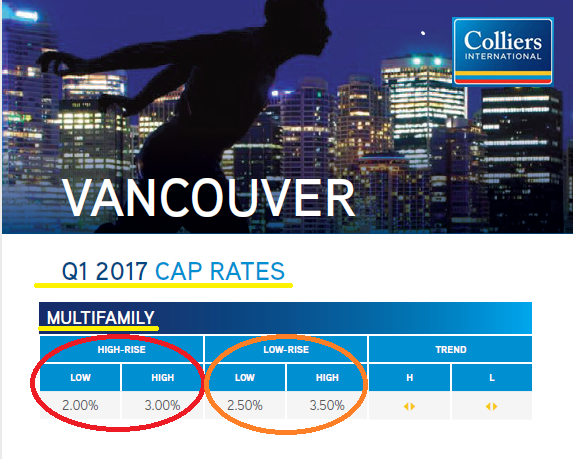 Oh and another sign is when the average cap rate for a low-rise apartment deal is 3% while high-rises are at 2.5! Just for reference, a 2.5 cap is the equivalent of a 40x multiple (aka PE or Price Earnings Ratio) on a stock meaning that it would take 40 years of earnings (NOI in the case of real estate) to repay the purchase price and that is definitely “far off in the future“. P.S. If you’d like a handy chart for converting Cap Rates to Earnings Multiples shoot me a message with Cap Rates to Earnings in the subject line.